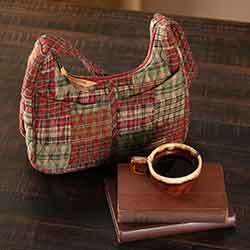 The Gatlinburg Quilted Handbags and Wallets features a collection of plaid fabrics in barn red, ivy green, and black in rectangle patchwork with diamond quilting. 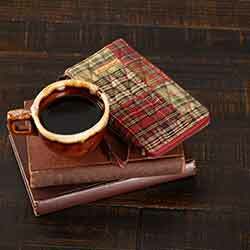 Part of the Bella Taylor Collection by VHC Brands. 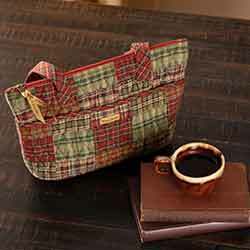 Shop for the holidays in style with our Christmas inspired Gatlinburg Blakely handbag. 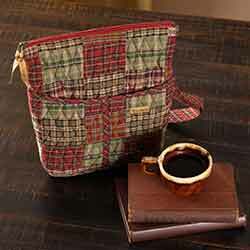 Featuring a variety of rustic, festive colors covered in contrasting thread diamond quilting. 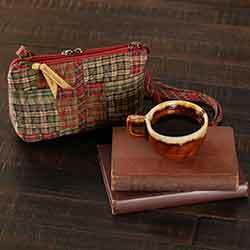 Featuring a variety of rustic, festive colors, eight pockets for storing personal items, and a crossbody adjustable strap in coordinating colors. 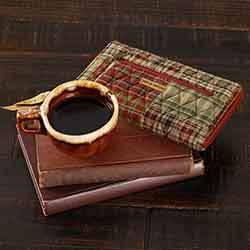 The rustic yet elegant design is made of several rectangle patches in a variety of colors, covered entirely with diamond quilting in contrasting thread. 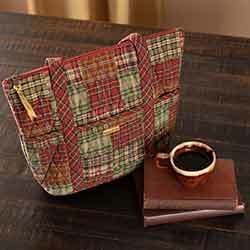 The roomy Gatlinburg Everyday handbag is designed to make room for all your everyday essentials. Fashionable, yet accessible the Gatlinburg Stride has a roomy interior perfect for holding everything you need and more. 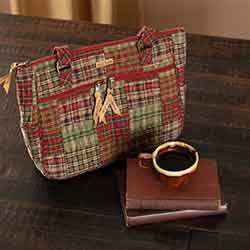 The Gatlinburg Taylor handbag is the perfect combination of functionality and fashion-forward style, perfect for a full day of shopping. 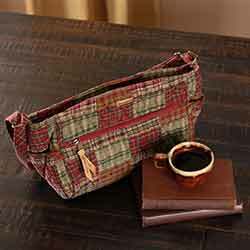 Includes 17 compartments for quick storage and functionality, and a strap for easy on-the-go carrying. Hold your phone, credit cards, and cash all in one wallet. Includes 1 external magnetic pocket and 11 inside compartments for all your essentials.